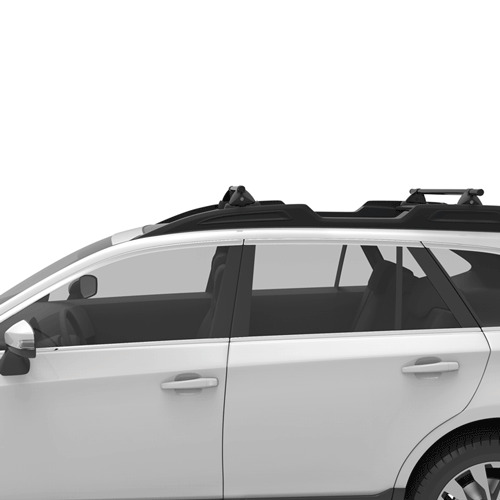 Yakima 8001143 BikerBar 2 Bike Full-size Pickup Truck Bed Mounted Bicycle Racks allow you to carry two bikes in the bed of your truck without drilling holes in the truck body. This sleek, simple to use system clamps directly to the lip of your pickup truck bed. 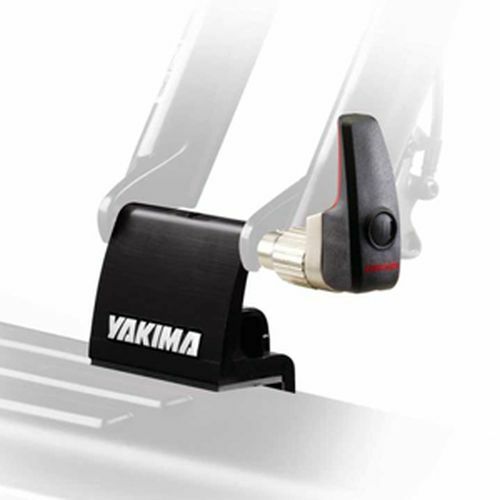 The Yakima BikerBar includes 2 Yakima's Boa Locking Fork Mounts and holds any bicycles with standard 9mm forks. 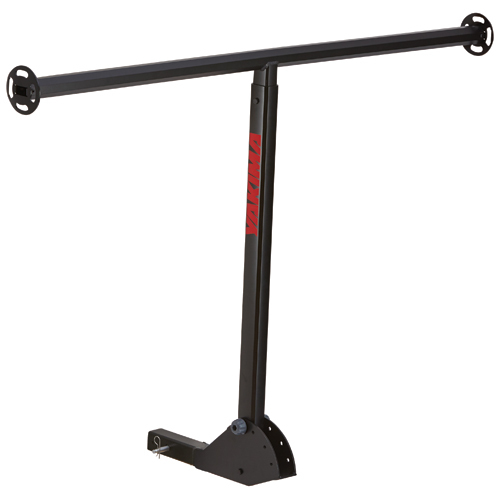 The BikerBar keeps your bikes upright and separated, preventing bike-to-bike contact. 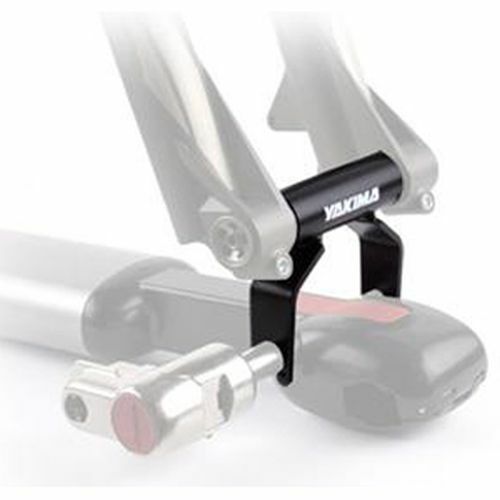 The Yakima BikerBar is compatible with most under the rail bed liners. Over the rail bed liners prevent access to the underside of the bed rails and must be cut or removed. Adapters are included to fit most trucks with bed mounted sliding tie-down systems (newer Toyota Pickup Trucks for example). 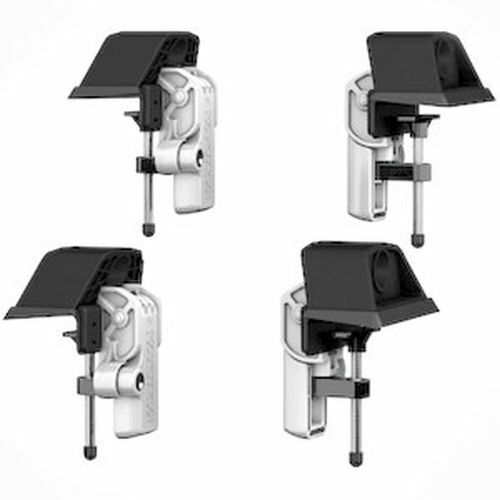 BikerBar's locking cam system allows you to quickly mount and remove the BikerBar System from you pickup. 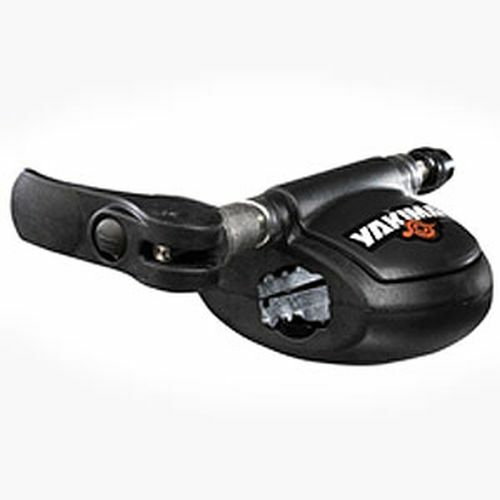 Yakima SKS Lock Cores and keys are included to lock your bikes to the BikerBar and the BikerBar to your pickup truck bed. 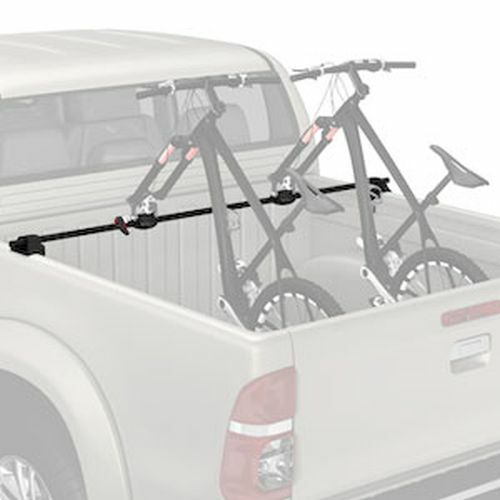 On extremely short bed pickup trucks, you may need to lower your tailgate to carry longer bikes.